Status: The association merged two teams in order to create a more cohesive relationship with the US Coast Guard. The association and the agency are working on understanding the risk profiles of terminals. Issue: Post 9/11, the nation turned its attention to lowering the threat of terrorist attack and the impacts that would be felt. Marine terminal and port security measures occupied the attention of numerous parties. 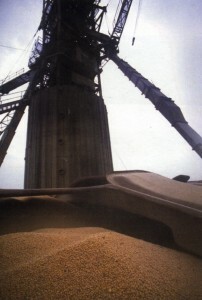 Agricultural riverside terminals were swept into this process. Due to circumstances such as isolated locations, stable workforces, low impact consequences of attack, and so on, ag terminals are actually quite safe from attack and consequence. Regardless, governmental agencies required substantial increased security investments. Channel Design Group and its team, working with a national trade association, created a plan to determine terminal security cost increases, the usefulness of the measures and means to lower the rate of increases. The team created and executed a survey of effected association members, analyzed the results and pressed US Department of Agriculture, The White House National Security Council and Congressional offices to ease the river terminal industry out of unwarranted security programs.